HOUSTON, Texas, Feb. 1 (SEND2PRESS NEWSWIRE) — Charles Michaels of Ezilon Inc. announces the company’s drive and dedication to supplying the foremost local and regional directory listings is now increased through the launch of its newest site at http://local.ezilon.com covering major cities in the United States. With this in mind, Ezilon Inc. doesn’t use auto listings as a way to fill its directory. Real people spend real time authenticating these listings for local city directories. “Whether you are a consumer or business your time will be spent more wisely when using the local search option knowing that the directory has been thoroughly checked,” says Michaels. Ezilon.com has expanded its new website so that less time is spent searching through the web directory by using local directories at the city search level. This means more time to focus on what one wants and less time searching for it. Not only does Ezilon.com offer the ability to search through regional directories but with the new site users can also browse through local listings supporting their area. This can save a great deal of frustration and time. Ezilon’s new local/city directory covers cities like New York, Los Angeles, Chicago, Houston, Dallas Forth Worth, Miami, Atlanta, Denver, San Francisco, Boston – to mention a few. Listing a business with the directory is easy and can be done through both regional http://search.ezilon.com and http://local.ezilon.com local directories. This can be extremely beneficial depending on the size of the business. Submitting one’s business listing is free in the local one, other than for those that wish to place an enhanced listing that typically offer a much higher exposure rate. 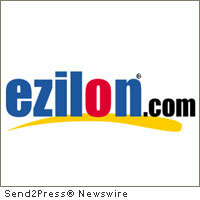 Since 2002 Ezilon Inc. has offered regional directories through the web. Companies looking to expand their business by increasing consumer awareness through US directory have been and continue to be a priority with Ezilon. Charles Michaels states that from this company’s beginning this site has been geared to support and offer local listings as well as US local listings that can be found easily. This serves to increase local businesses revenue by increasing their exposure. The same is true for US local businesses – Ezilon helps to increase their exposure. This company is proud of the fact that they have always welcomed all to list with their site. It is easy to do and only needs verification. Meeting the criteria for submission isn’t hard and doesn’t take long to become verified. The process of verification will continue to be kept up-to-date to keep this site at its highest functioning level. Interested parties can contact Ezilon Inc. by phone or online at http://www.ezilon.com if interested in submitting business information, whether as a small business or larger company. If you would like further information concerning this press release, please feel free to contact Charles Michaels at 1-800-913-5633. News issued by: Ezilon Inc.